Cyn: In the world of fast food, there exists a sign that reads as such. Cyn: I guarantee that, thanks to this sign, there are now people who believe that the world population is over 99 billion. 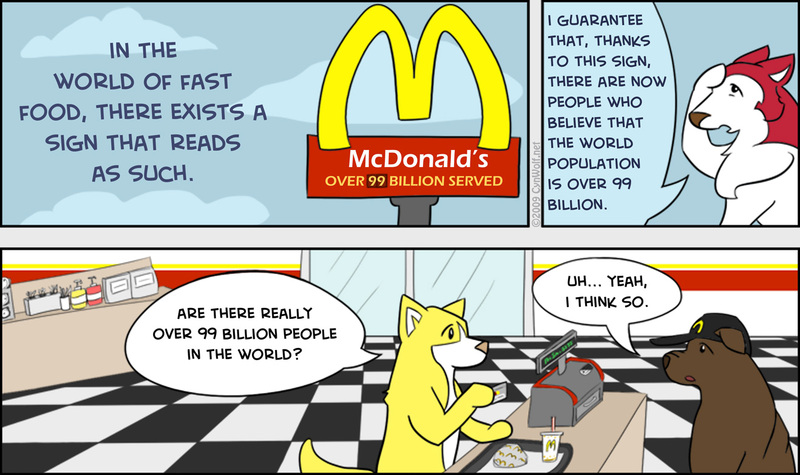 Dingo: Are there really over 99 billion people in the world? Employee: Uh… Yeah, I think so.